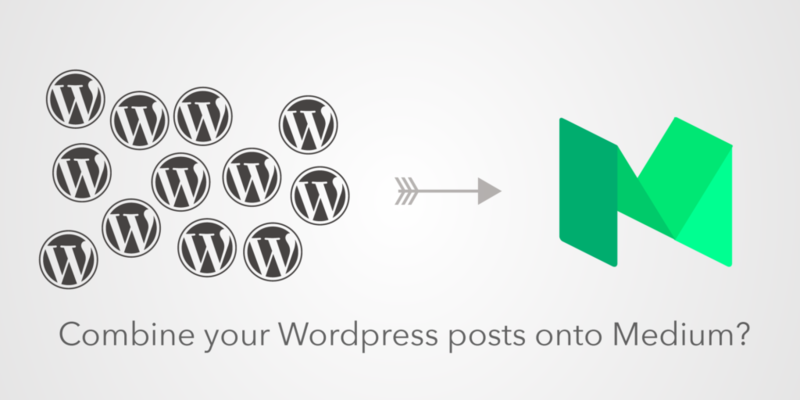 Republish your blog posts to Medium? Do you take your blog posts on your website and republish them onto Medium? Your work gets more visibility, so that sounds nice. But with your website content duplicated elsewhere on the internet, do you lose Google rankings on your own website? A good number of my blog posts don’t rank well on Google, so I might as well publish them on Medium. But frankly, I find it annoying when people republish things on various services. This sort of repeated content makes me want to unfollow the person on the duplicated platform. Thus, I tend to stay away from reposting items on other services. But I’m still giving a go to reposting on Medium, but with a twist. Whenever I want to repost a blog post, I’ll look back through my archives and see if there is any related posts. I’ll then merge those posts together into one larger post. Medium likes longer articles, right? Maybe this combining of articles will work better for the Medium audience. However, part of me thinks that the strength of Medium is not so much in the longer-form articles, but the quality of the comments. Every single comment that is made appears as a post on the commenter’s profile. Since the comments have high visibility on each user’s page, everyone is encouraged to leave quality comments. By their nature, comments aren’t usually that long. Hence, Medium isn’t always about longer-form content. The depth of the comments holds the key for Medium. Comments tend to be shorter. With the range of shorter-form comments on Medium, would shorter-form content work better on Medium? In short, I’m debating where I should write short-form posts first. My website or on Medium. And then which platform would get the longer-form versions?